Join us in raising funds for the ongoing preservation of the Civic Center aka Cottonwood Club House. 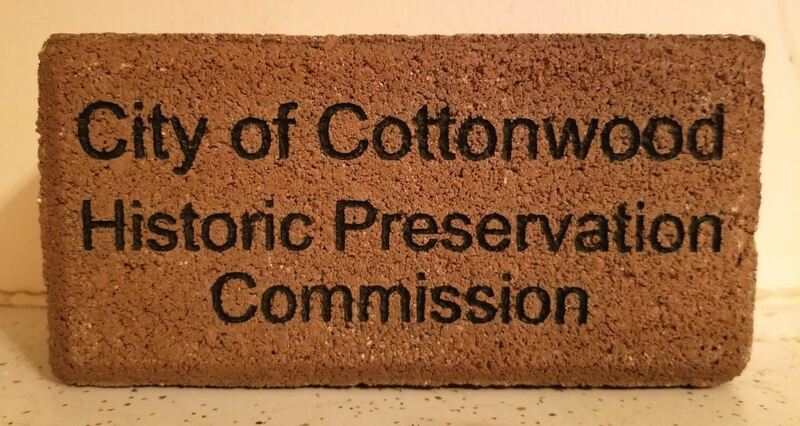 Get a place in Cottonwood’s history by purchasing a memorial brick for yourself, a loved one, a pet, or whomever you would like to honor. This long-lasting polymer brick will be laser-etched with the name and tribute you specify, up to 3 lines of 20 characters each. Simply complete the form below, along with your payment of $100, and get your brick that will be placed on the front walkway to the Cottonwood Club House for all to see. There are a limited number of bricks that will be sold, so don’t delay.